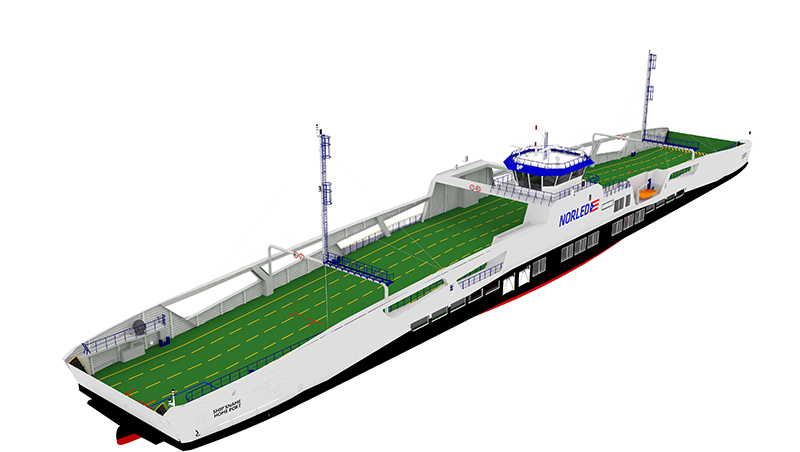 On 1 August 2018 Norled has announced the contract for the construction of two Double Ended Diesel Electric Hybrid ferries based on the LMG 120-DEH design to be built at Remontowa Shipyard. These two sister ships comes in addition to the two first units for which the shipbuilding contract was signed in July. These two sister ships will operate on the Mannheller-Fodnes route and, as compared to the two first ones intended for the Festøya-Solavågen connection, will feature two modifications. Since the Mannheller-Fodnes route is shorter, the capacity of the battery pack will be reduced by approx. 20%. At the same time, the vessels will be certified to carry more passengers with the maximum being 395 persons.